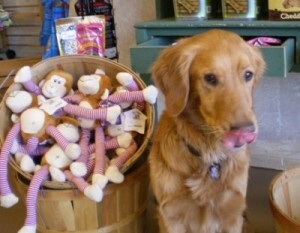 The original founder of See Spot Shop, Beau assures that every customer receives a tail wag and the opportunity to rub his belly when they visit the store. Many days he can be found relaxing in front of the store coaxing customers to come in for a visit. When not working, Beau spends much of his time in volunteer work. He has been a foster brother to countless dogs and cats, helping them on their journey to their forever homes. 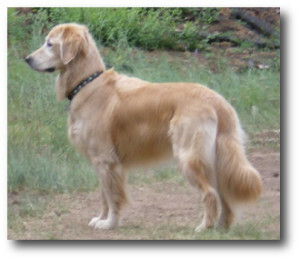 He has also lent his good looks to the fundraising efforts of the Arizona Golden Retriever Connection, serving as “Mr. January 2007″ in their annual calendar. Gus joined See Spot Shop in the winter of 2006 and utilizing his experience as a professional taste tester, quickly worked his way up to Director of Product Testing. An accomplished author, Gus has put pen to paw for the “Just Ask Gus” column and the See Spot Shop Newsletter. Also a big believer in volunteer work, Gus raises funds for the Arizona Golden Retriever Connection, the group that rescued him from the streets. He has also donated his time as a foster brother with a particular affinity for kittens.